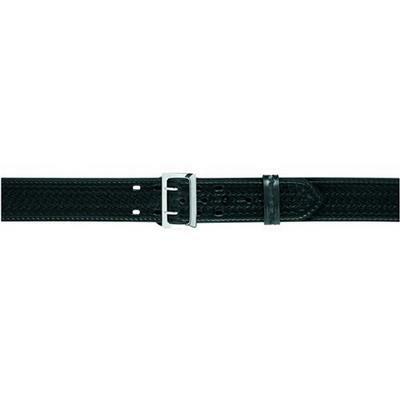 . . Standard duty belt with a plain border stitch . . Double-tongued buckle and center belt stud fastens belt firmly around the waist . . Choice of chrome or brass buckle .